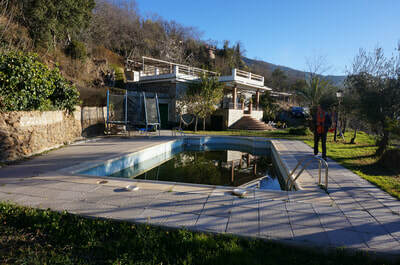 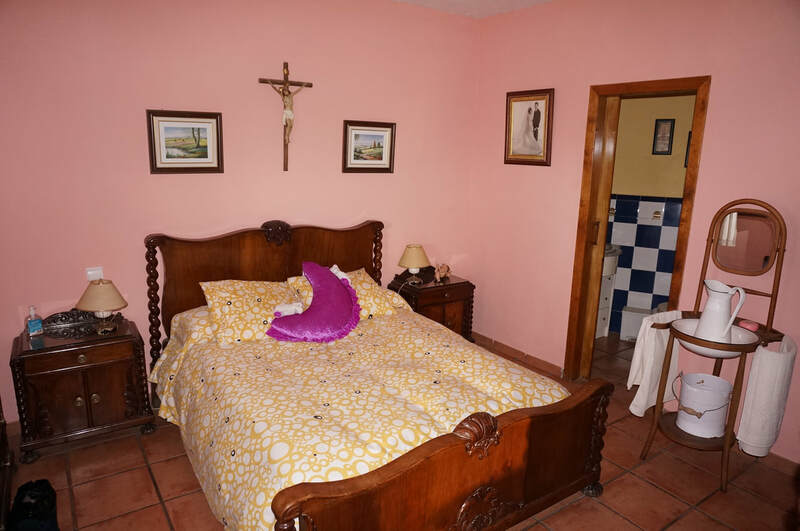 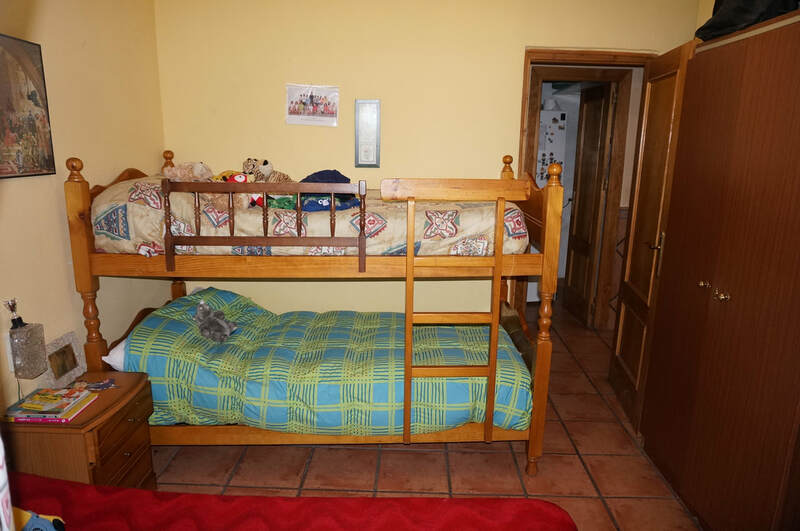 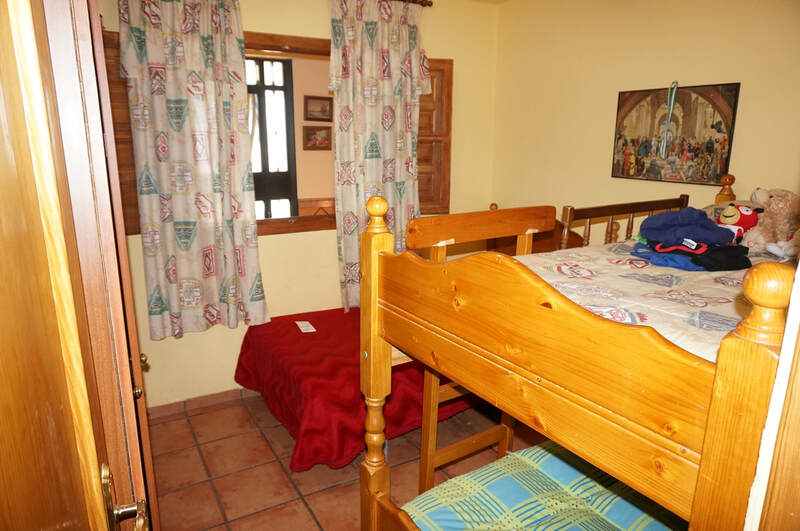 lanjaron countryhouse property for sale in the alpujarras - HomesEspana Orgiva Property Real Estate Agent Inmobiliaria Since 2003 UA-39695354-1 HomesEspana Orgiva Real Estate Agent Inmobiliaria In Orgiva and lanjaron for Properties In The Alpujarras-Granada-Andalucia-Spain. 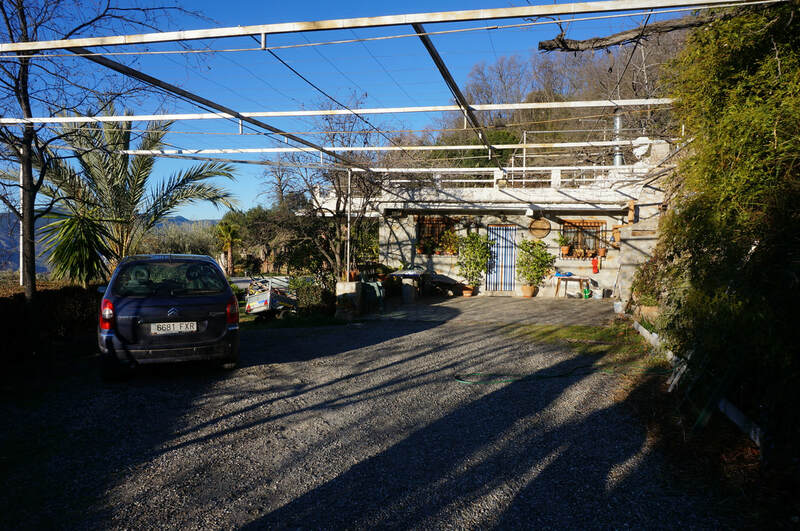 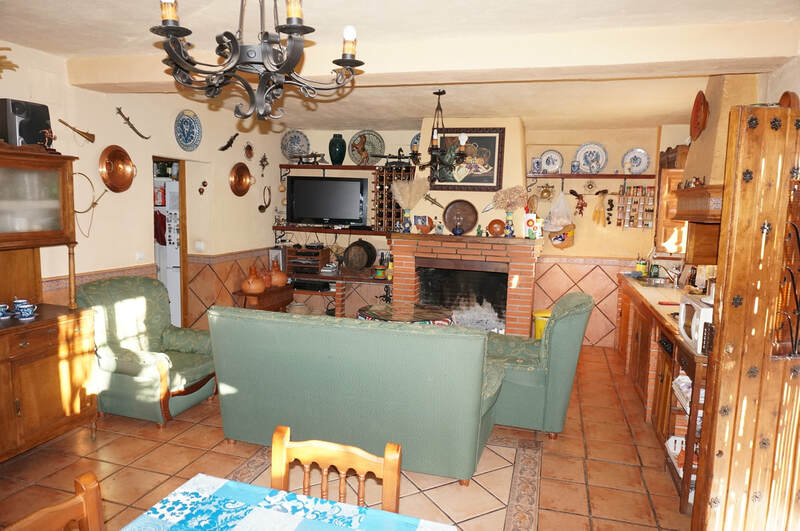 A modern three bedroom one level country house with a large roof terrace and swimming pool, located on a 2,300 m2 plot of land above Lanjaron, in a rural zone with wonderful views. Electricity, town water and sewerage are connected. 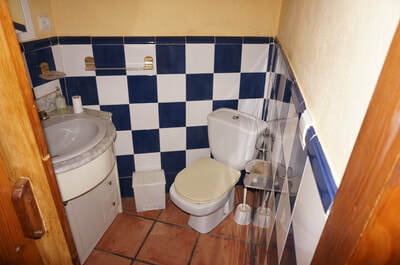 The main building has 115 m2 habitable not including the outhouses. 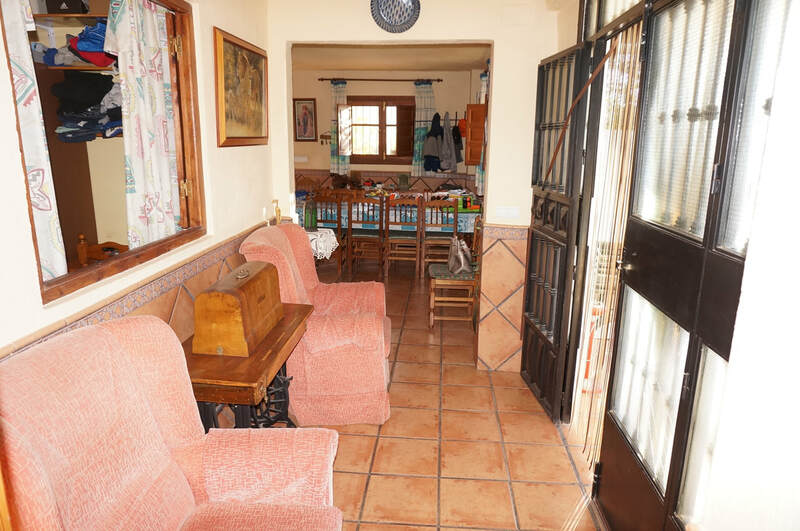 Steps lead up to a small covered terrace/porch opening into a small hallway, leading off to the left to a double bedroom with en-suite w.c., and to the right to a large living room/dining room with open plan kitchen and large fireplace. 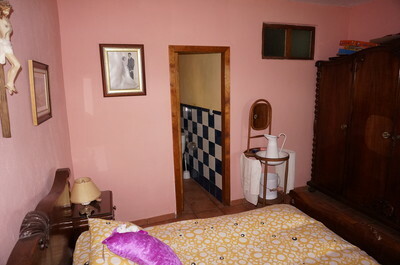 A corridor leads off from the dining room to two more bedrooms, a bathroom, and a pantry. Outside stairs lead to the very large roof terrace, with a shading vine, and with wonderful views to the south, to the sea and on clear days the Rif mountains of Morrocco. 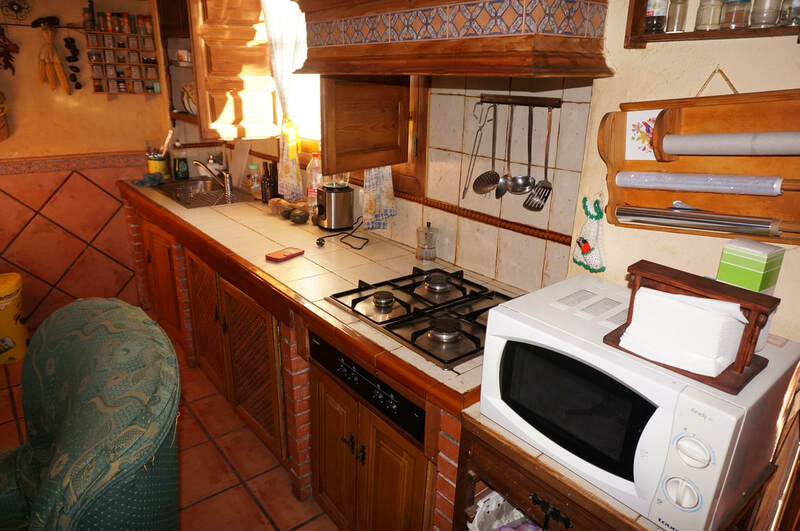 Attached to the house are, a barbecue and oven, and on the other a w.c. and a utility room with washing machine. 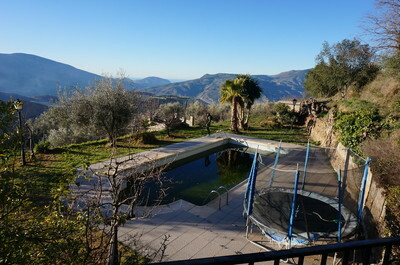 Adjacent to the house is a large ( 10 m by 5 m) swimming pool, with a full pump-filtration system. 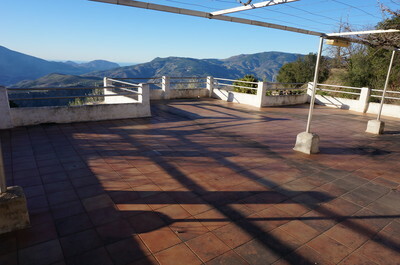 The land is 2,300 m2 of hillside land, Consisting of three level terraces. A short distance from the house is a small storeroom, and close to the pool is a gazebo/terrace with shading vine, (below which is the pool's pump and filter), and which has Spectacular views to the south. Above the house, at the top edge of the land, is a cement water deposit, storing water from an acequia ( irrigation water channel). 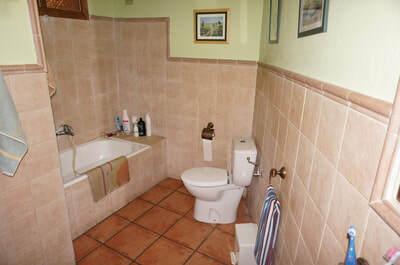 In addition to irrigation water, the house has town water connected, as well as having connection to electricity and sewerage. 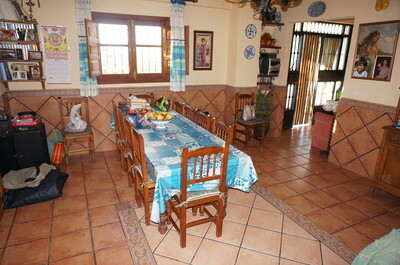 The location is rural and peaceful and the access is by good cement track from Lanjaron,five minutes away by car. There is also a footpath from the land down to the town.